The internet is loaded with sweet treats for Valentine’s Day. 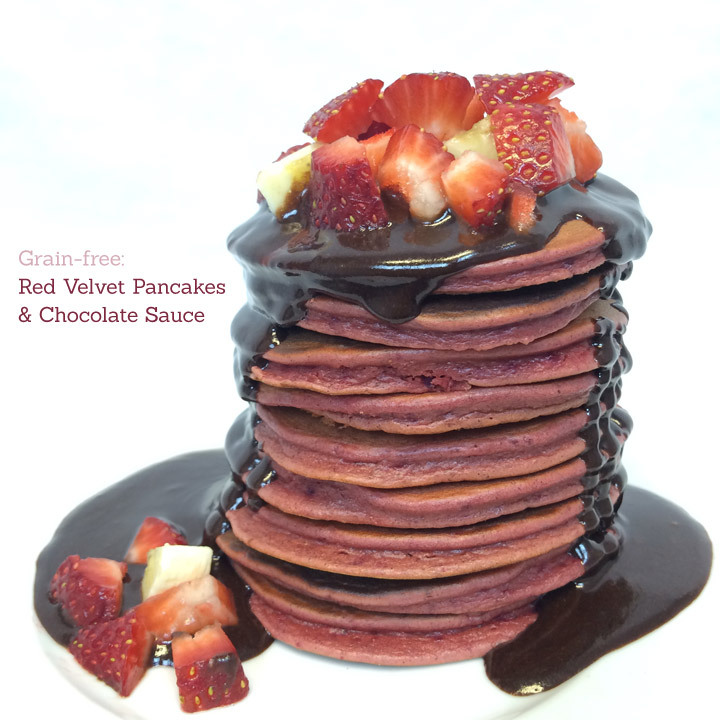 But my Red Velvet Pancakes & Chocolate Sauce are made with all real, whole, nourishing food. They’re grain-free and sweetened without processed sugar. And the pink? That’s not food coloring from a bottle. It’s beets – and I’ve made it super easy for you. No peeling or roasting or advance prep required. My family went wild for these pancakes. Frankly, so did I. The stack you see in the picture is definitely an oversized portion. In reality, I probably had 4 pancakes. Now I’m not saying these are super healthy breakfast food…after all, the maple syrup in the chocolate sauce is a lot more sugar than I like to have in a breakfast. But for a special treat? It beats the pants off other Valentine’s Day options. 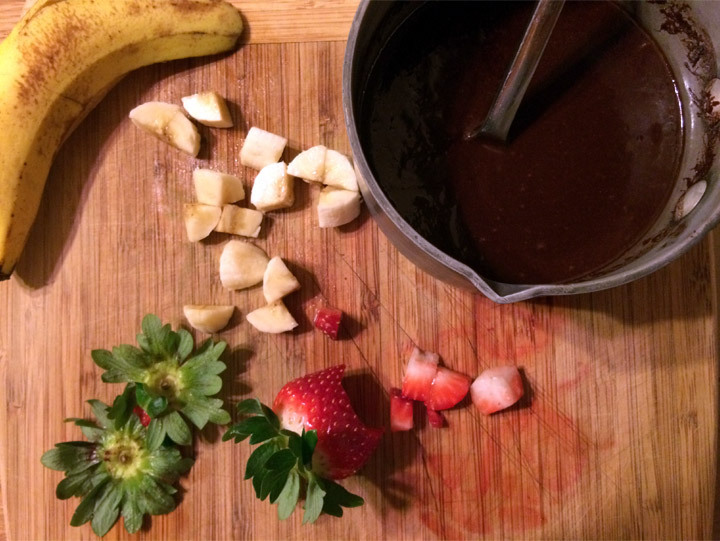 And you can save the extra chocolate sauce for later, when the kids are in bed. I’ll leave that open-ended. You can buy frozen beets at natural food stores (and who knows, maybe conventional supermarkets?) They are a nice timesaver because they are already cooked, peeled and frozen in pieces. If you prefer, you can of course cook and peel fresh beets. To make pancakes, combine nut butter, eggs, bananas and beets in a food processor until smooth. Using ⅓ cup of batter at a time, pour pancakes onto a hot griddle. Watch for bubbles to begin to form, then carefully flip and cook for an additional 1-2 minutes. For sauce, blend all ingredients together and warm on the stove over low heat. To serve, stack pancakes, top with chocolate sauce and fresh fruit.